Your team depends on a whole range of tools to get work done. From email and Slack, to Salesforce, Asana, JIRA, and countless others, your critical information lives in many different platforms. Updating and checking these tools takes up your team’s time — and every time they’re forced to pull up another tool to get the information they need is another chance to get distracted. Plus, the notifications you get from these tools throughout the day adds to your team’s stress. That’s one reason teams love Front. 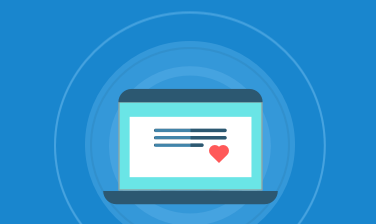 By bringing all your messages — like email, live chat, SMS texts, social media — into one inbox that connects with all your critical apps, like Salesforce, JIRA, and 50+ others, Front turns your inbox into your command center for work. Here are three teams who have defeated context switching with Front. onefinestay provides unprecedented service for short-term stays in more than 10,000 luxury homes across the globe. Coordinating with homeowners and guests, their team of 150+ uses Front to provide start-to-finish rental and concierge services. Before Front, their teams juggled six inboxes in Google Groups, organized messages with Gmail tags, copy-pasted messages into JIRA, and communicated internally with Skype and Hipchat. It became increasingly difficult to maintain accountability and transparency with all these disconnected tools. Today, onefinestay manages their communications in one central inbox with Front, avoiding the clutter, copy-and-pasting, inefficiency of separate tools. "We bypass all of the extra steps we were taking because all of our communications are now centrally located in Front," said Business Improvement Lead Jack Petch. ZENCONNECT offers IT setups to help businesses run more productively. Their team of 30 employees — from Sales, Financial, Technical, Project, Direction, to IT — relies on Front to deliver the best client experience to more than 450 companies. ZENCONNECT used many different tools to run their business, like Salesforce, live website chat, Google Groups, and Slack. Now with Front, they work faster by integrating all those tools into one inbox. “Before Front, we would waste time checking other apps, multiple times a day. Now, our team can create an internal chat, see information in Salesforce, and answer a customer in 5 minutes, without ever leaving Front,” explains CTO and CIO Yohann Lecornet. Zesty is a corporate catering service that connects local restaurants with companies for meals, snacks, and events. Now owned by Caviar, their rapidly-growing business coordinates orders, food prep, drop-off and clean-up for companies across the Bay Area. With group email aliases like support@ plus Twilio SMS numbers set up for each region of service, their team had to keep up with a lot of different messages — especially during the lunchtime or dinnertime rush. With Front, Zesty was able to scale their business, answer all their messages, and maintain great customer service. They manage every message through Front, and by integrating with the other tools they depend on, like Asana and Slack, they automatically assign messages to the right person and organize requests on Asana boards. No more switching tabs, getting distracted, or worrying about out-of-date information: Front allows your team to rise above the context switching epidemic and stay focused, all day long.